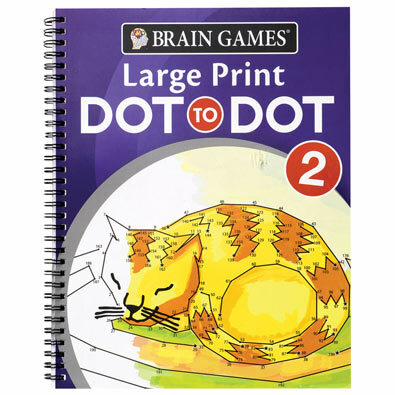 Large print classic dot to dots for adults or children. Each book contains over 55 puzzles, featuring a wide variety of themes, including famous people, buildings, foods and more. Easy tear-out pages for displaying. Answer key in back of book.